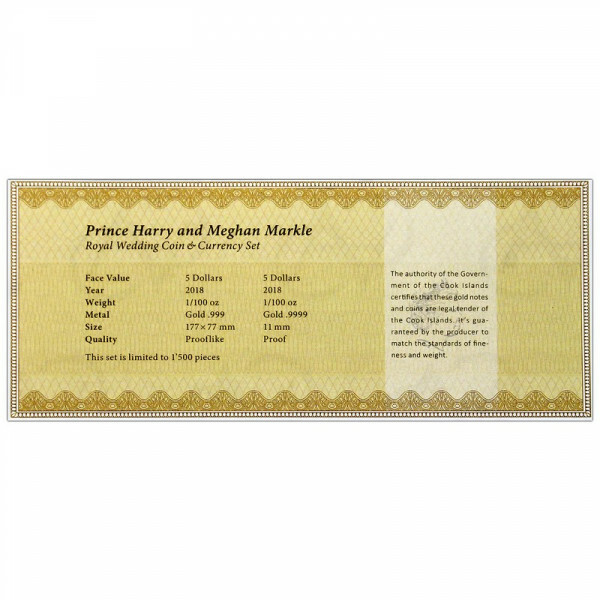 Set includes the gold coin and the gold note, both having the same gold content of 1/100oz. 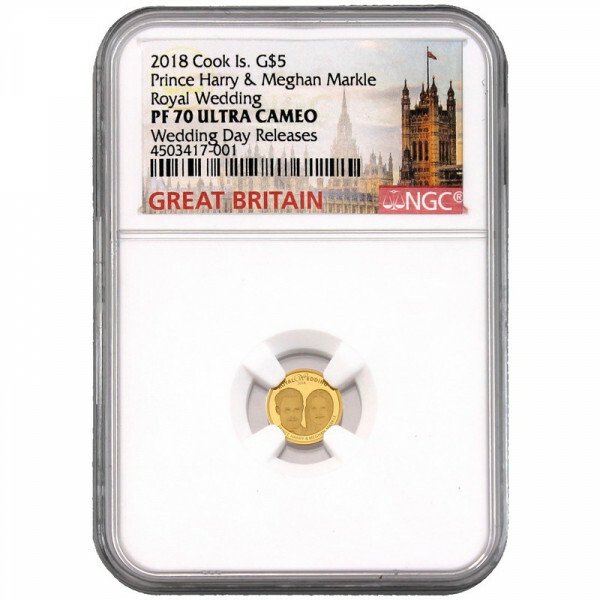 The coin is graded by NGC in PF70 Ultra Cameo with "Wedding Day Releases" Pedigree. 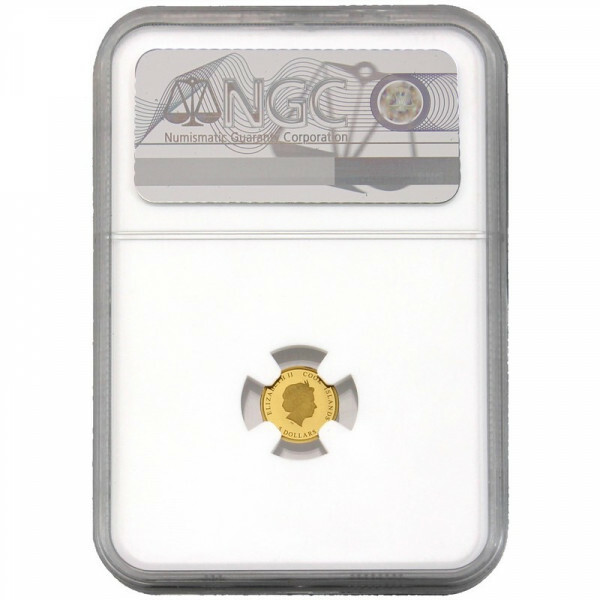 This beautiful Gold coin has a mintage of 15,000. 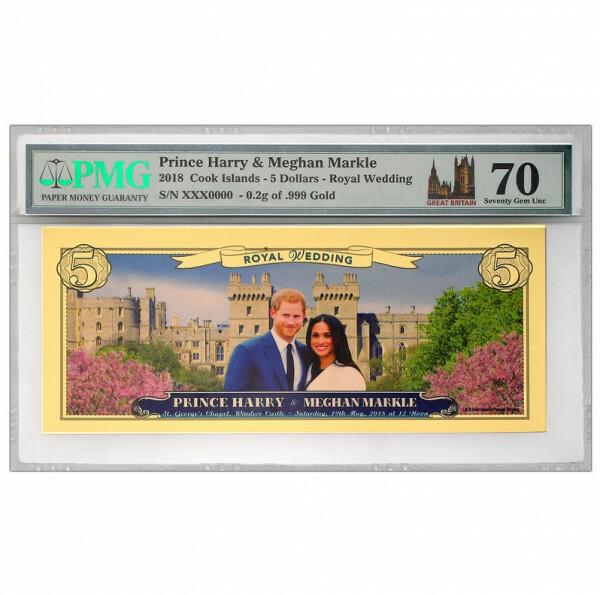 The note is graded by PMG in 70 Gem Unc. 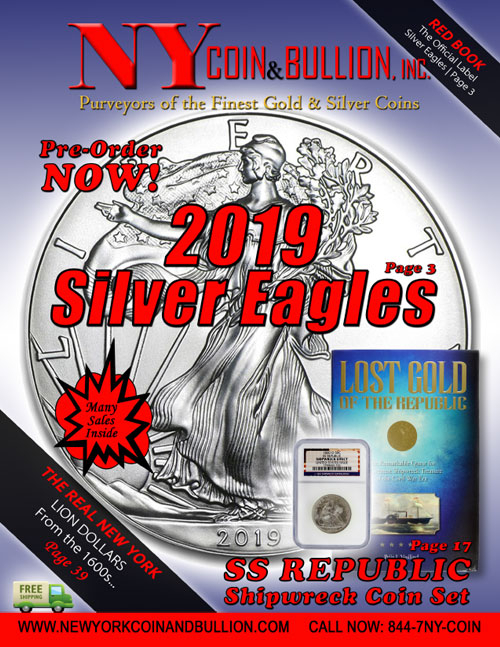 Maximum mintage in this presentation is only 1,500 for the world. 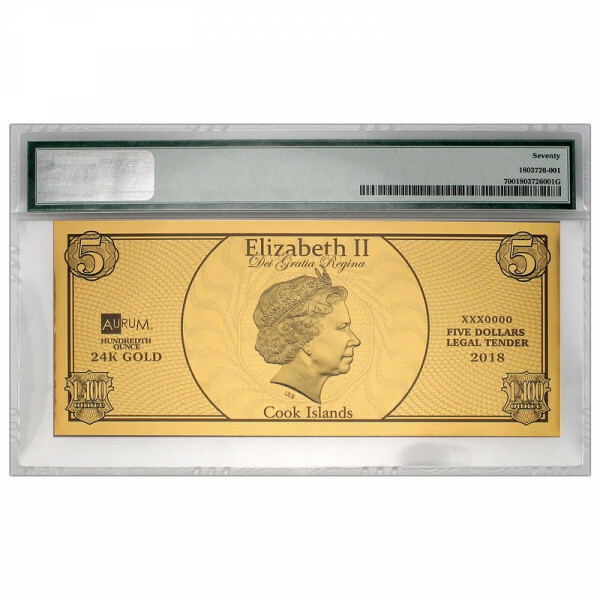 - Obverse: Profile of Queen Elizabeth II, country of issue and face value. 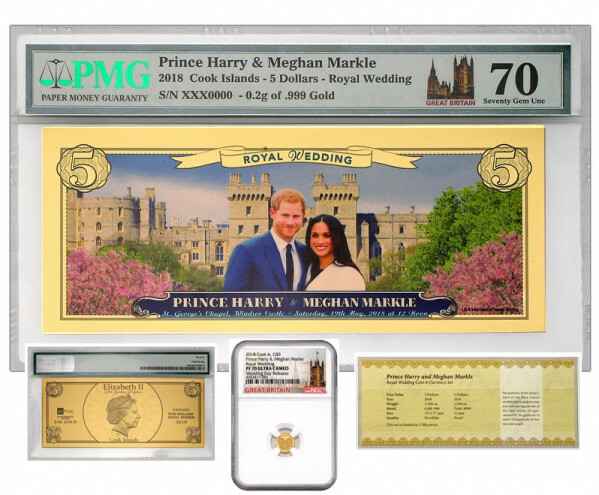 - Reverse: Image of Prince Harry and Meghan Markle. 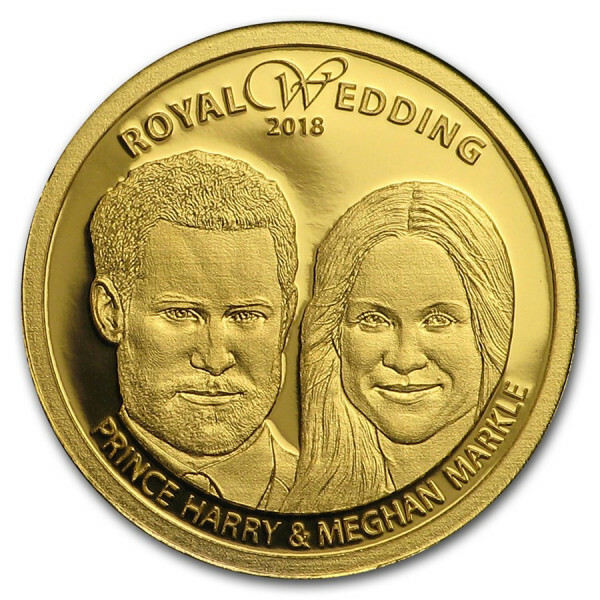 Near the top of the coin is the inscription "Royal Wedding 2018". 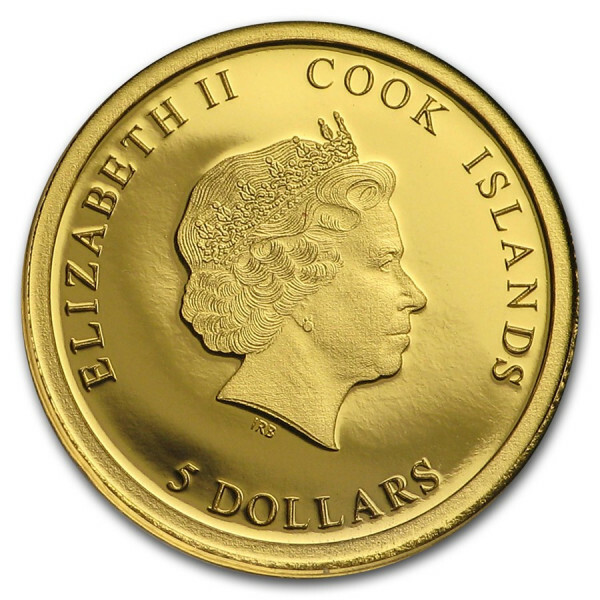 - Sovereign coin backed by the Cook Islands.